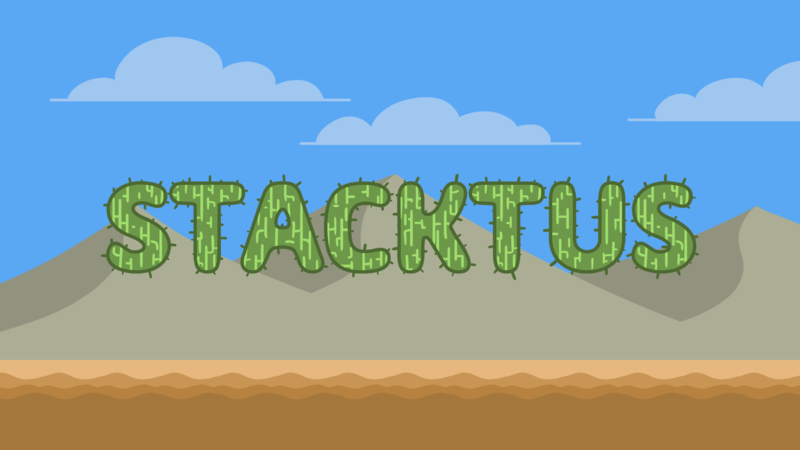 Stacktus is an action physics artillery game with a fruity twist. 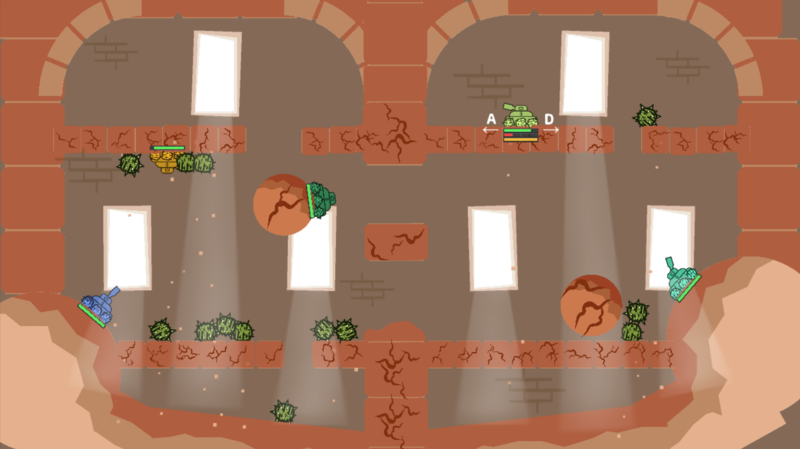 Players control tanks that can fire melons and cacti. Cacti are dangerous and stick to most surfaces, while melons are bouncy and can dislodge players and cacti. 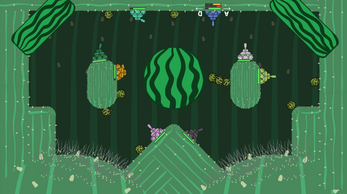 The game explores the dynamic between them, adding other elements to the levels that increase the emergent gameplay and strategy. 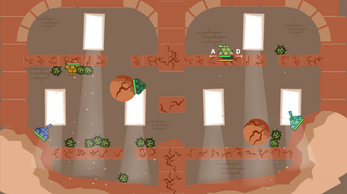 left click fires cacti, right click fires melons. mouse wheel changes power, arrows or wasd for movement, ctrl skips your turn. The game is probably not still in developement. By JohnLee Cooper, Justin Capcap, Jesse Baker, Aaron Sutton, and Matt Murch. Unzip n' play! balanced for 2 players but can be played with up to 8. Currently designed around 16:10 ratios, but totally playable with others, you just might see a lil bit of rough around the edges.